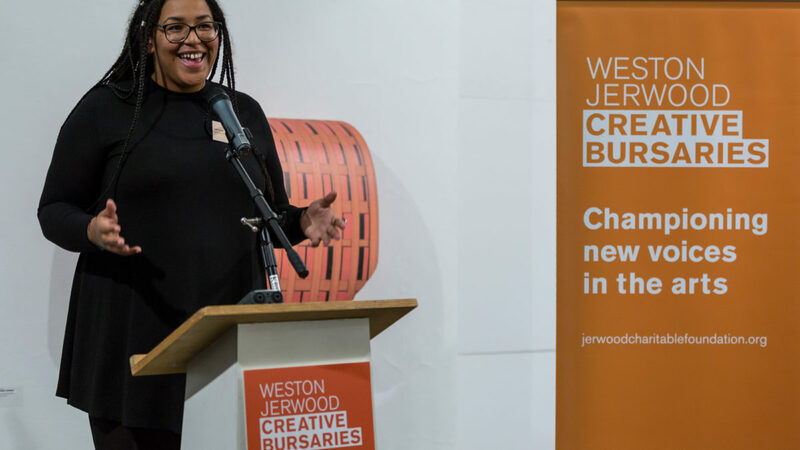 The Weston Jerwood Creative Bursaries programme is a talent development initiative creating 40 new, paid, entry-level roles in the arts for recent graduates at 40 leading arts organisations across the UK. The programme addresses the socio-economic barriers that skilled graduates entering the workplace face and is open to graduates from low-income backgrounds who were in receipt of a full maintenance grant throughout university. 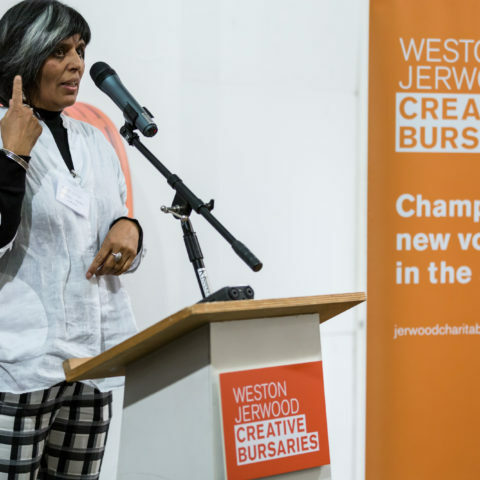 The Weston Jerwood Creative Bursaries Programme was designed and managed by Jerwood Arts with the support of Garfield Weston Foundation, Andrew Lloyd Webber Foundation and J Paul Getty Jr Charitable Trust. It ran from June 2015 to October 2016. 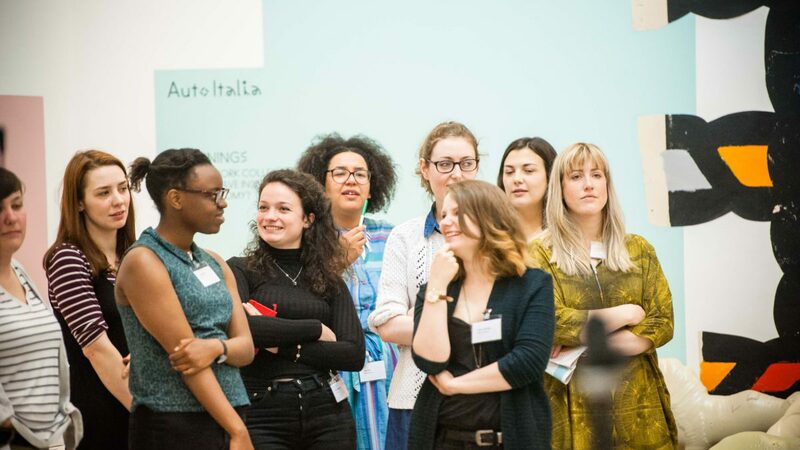 Since 2010, through its two editions the Creative Bursaries programme has helped create 84 paid entry-level roles in 75 arts organisations nationally for graduates from low-income backgrounds. 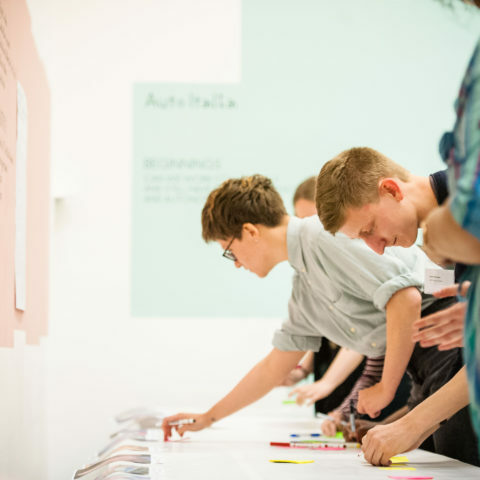 Garfield Weston Foundation, Jerwood Arts and CHK Charites Limited have committed funds for a third edition of the programme, for which fundraising continues. Unpaid internships and poor recruitment practices are a barrier which threaten to impact on the diversity and vibrancy of our future arts workforce. This programme champions new voices and promotes the potential for positive change through sharing evidence of best practice in recruitment and talent development. Its beneficiaries are the potential arts leaders of the future; those who in turn should be powerful advocates for the cultural change needed to achieve real, ingrained diversity in the arts. Providing these bursaries goes some way to making entry into the arts a level playing field and ensures those with talent, if not financial backing, are given the opportunity to succeed. 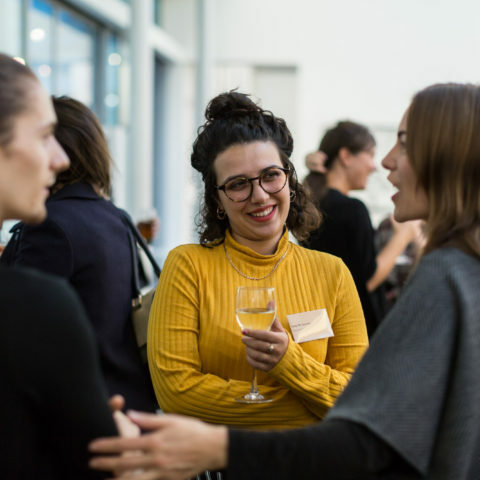 Under the Weston Jerwood Creative Bursaries Programme 40 recent graduates undertook placements lasting between six and twelve months, recruited through open application according to financial and academic eligibility criteria. Placements were with 40 leading arts organisations across the UK. They were selected for the excellence of their work and their ability to offer the most inspiring placements in a wide range of jobs in the arts and the best possible start for the graduates. Alongside their placement, recipients were supported by mentoring and structured networking opportunities through the Andrew Lloyd Webber Foundation Training Programme. Bursary recipients were paid the Living Wage and the programme facilitated valuable networking and peer support for both placements and hosts. You can view a full directory of bursary holders in this second edition here. 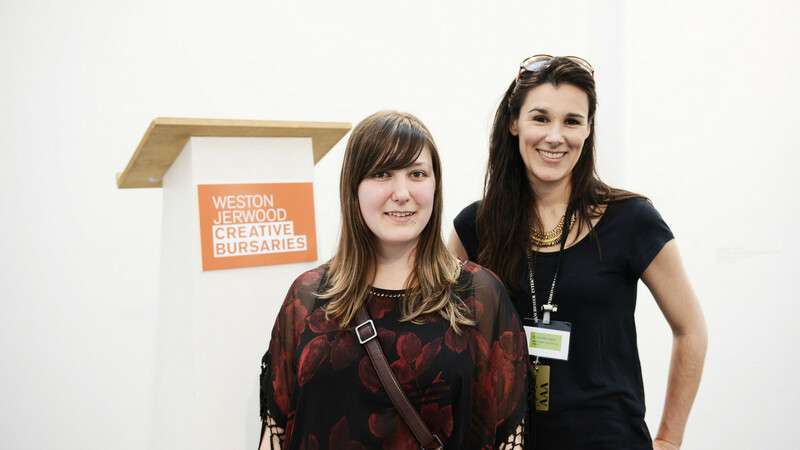 These Weston Jerwood Creative Bursaries are ways in. Each is a little miracle, all 40 of them. And more, we hope, to come. Each an individual doorway. They are of immense, incalculable value – to those that receive them and to us all. They're a marvellous act of creativity. 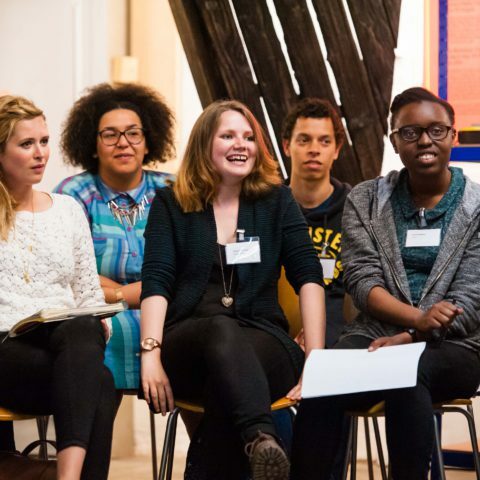 This was a key strand of the Weston Jerwood Creative Bursaries programme and was designed to add value through providing a dedicated mentor, professional development training and networking opportunities for the bursary recipients over and above the support they received from their host organisation. The Andrew Lloyd Webber Foundation was one of the programme’s key funders and supported this development programme specifically, in line with their funding goals to nurture and encourage the next generation in the arts. 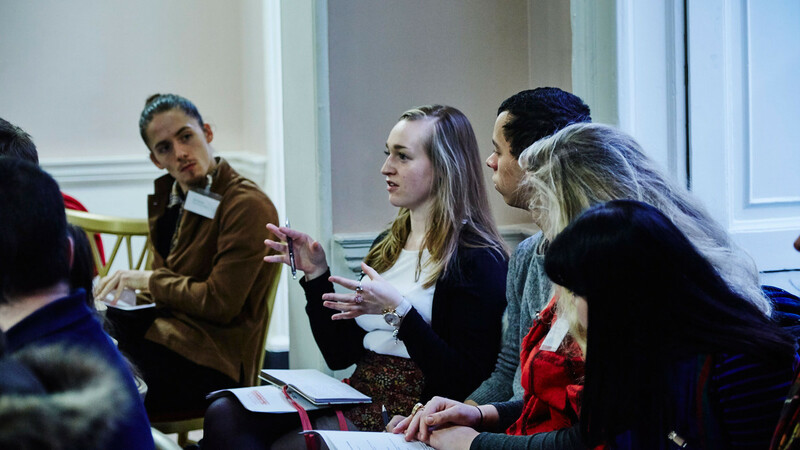 There were four national training events throughout the year in Manchester, London, Glasgow and Birmingham focussing on areas of common interest for the full cohort of bursary recipients. Of the 2016 cohort of bursary recipients 24 (60%) had their placements extended by their host organisations. At the conclusion of the evaluation, 10 (25%) remain within their organisations, making job creation another major success of the Programme. 12 (30%) have new permanent jobs in other organisations – at the Royal Academy of Arts, Chisenhale Gallery and Quays Culture, Salford amongst others. 9 (23 %) are actively working as freelancers, one is undertaking further Masters study and 5 (12%) are actively seeking employment. The first edition of the programme, the DCMS Creative Bursaries Scheme, concluded in 2012 also yielding outstanding results. 90% of bursary recipients were employed in the arts at conclusion of the evaluation, compared to 39% of the control group. Of hosts, 90% confirmed they would target less affluent applicants again, 60% extended their placement’s contract and 33% made the new roles permanent. In November 2015 an alumnus of the inaugural edition, Aaron Wright , was announced Artistic Director of Fierce Festival. Aaron’s placement was with Live Art Development Agency in 2010. 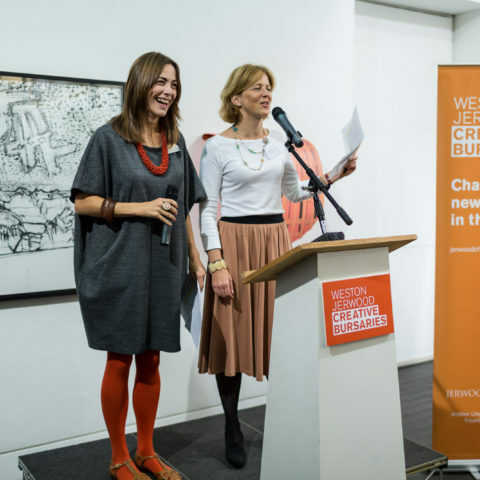 You can download the full Weston Jerwood Creative Bursaries 2014-16 Evaluation Report here. 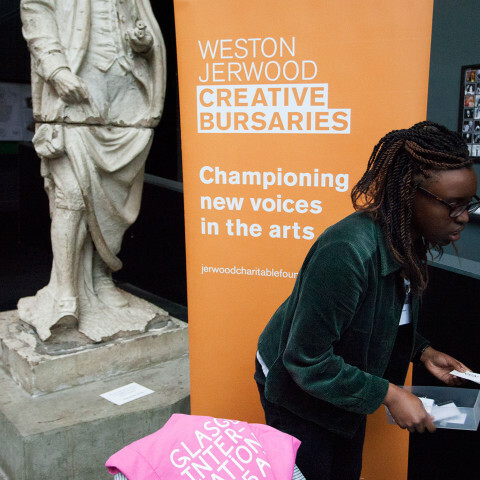 The Weston Jerwood Creative Bursaries 2014-16, ran from June 2015 to October 2016 and was designed and managed by Jerwood Arts (then Jerwood Charitable Foundation) with the combined support of Garfield Weston Foundation, Andrew Lloyd Webber Foundation and J Paul Getty Jr Charitable Trust.